In the last quarter-century, the concept of “teamwork” at work has exploded as a business phenomenon. Businesses everywhere have climbed aboard the “build great teams” bandwagon. Unfortunately, at the core of this thinking is an underlying assumption that each of us automatically knows what to do and how to act in our team roles. In reality, however, most of us don’t fully understand our impact on the team, or the impact the team has on us. Today’s companies produce fewer widgets and more services, relying heavily on the fruits of intellectual capital. A relentless push for innovation requires us to invent things that don’t currently exist, in a creative process that demands we make the most of our individual creativity while spring-boarding from the creativity of others. Meanwhile, the globalization of businesses has created more diffused and “virtual” teams unlikely to occupy the same physical workspace, providing even less opportunity for organic team cohesion, and amplifying some of the underlying team misunderstandings, behaviors and inefficiencies. This creates the potential for greater team disconnection and increased worker silos, leaving teams facing growing disenfranchisement, ineffectiveness and underperformance. Fortunately, in concepts as old as Aristotle, research is providing greater understanding and direction in what makes “great teams great,” and how to best unlock the full potential of both individuals and teams. Successful businesses are learning that they must actively work to achieve fluidity and a productive team rhythm in this new global workplace. This deeper understanding of the roles each of us plays on the team, alongside a laser-focus on business priorities and goals creates an “interconnected independence”, the key to today’s high performing teams and sustainable business success. At Authentic Impact, we have been helping companies achieve interconnected independence for years. Our mission is to help professionals get clear on business priorities, as well as get a handle on their strengths and how to best deploy them for themselves and the team. Through a customized, affordable and simple process, we help shed light on what’s truly important and what can be left behind. As trusted partners, we listen, coach and lead individuals and teams toward achieving their greatest potential, unlocking higher levels of growth and success. We help cut through the noise and distractions that mire down performance and zero in on the right things, so team members feel stronger, more confident, more engaged, more resourceful and, ultimately, more productive. Team leaders feel empowered to manage less and achieve more. We know the business world is ever-changing, and tomorrow’s demands on teams and team leaders will drive us to another level of growth and understanding. We will happily work with these changing needs to create an ongoing, coherent and positive experience. By being accountable to business objectives, Authentic Impact will provide what’s needed, when it’s needed. Our proven approach is easily implemented and ensures consistent results, every time. Every team and every team leader is different; every company has different goals and priorities. Our team shares a passion for continuous personal and professional growth and for finding the right solutions for every client. With our focus on leadership development, executive coaching, strategic planning and team dynamics, we can help, no matter what the business world throws at you. HELEN KAIN is the co-founder of Authentic Impact. and the Founder and CEO of The Coaching House, a Toronto based executive coaching firm. She is an evidence-based coach whose approach is deeply rooted in Positive Psychology, Appreciative Inquiry and brain science. Helen’s interest in coaching began during her extensive career as an investment professional. A passion for uncovering and understanding her clients’ relationship to money fueled her research into motivation, effective change and human excellence. This focus resulted in long-standing relationships of mutual trust and confirmed her interest in the human side of the investment business. Prior to launching The Coaching House, Helen was Managing Partner of the Toronto office and an Investment Counsellor/Portfolio Manager in the Private Client area of Phillips Hager & North. She had previously served in similar roles for Sceptre Investment Counsel, Royal Bank Investment Management and predecessor firms. Helen holds the Chartered Financial Analyst designation and is Past-President of the Toronto Society of Financial Analysts. Helen’s coaching certifications & accreditations include: Certified Professional Co-Active Coach through The Coaches Training Institute, Kolbe Certified™ Specialist, and Crucial Conversations® training. Helen divides her time between Ancaster, Ontario and Cape Cod. GORDON PARRY is the co-founder of Authentic Impact. He has over 20 years experience working for global organizations in a senior executive capacity. He is also the founder of Aristotle Group, a firm dedicated to leveraging human capital at the individual, group, and organization level. His corporate experience includes leading the human side of growth through innovation, acquisitions, mergers, spin-offs, and IPOs. Included among his clients and past employers are: First Data Corporation (formerly NYSE: FDC), Western Union, the American Red Cross, and American Express. Gordon holds a B.S.B.A. in Personnel Administration from the University of Arizona and a MBA from the University of South Dakota. He is also a graduate of the University of Pennsylvania with a Master’s Degree in Applied Positive Psychology. His thesis “Recrafting Work: A Model for Workplace Engagement and Meaning” connects emerging research in applied positive psychology to human capital strategy and practice. 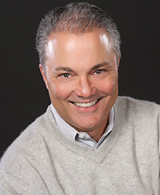 He holds professional certifications in Human Resources (PHR), Compensation (CCP), Benefits (CEBS), and a variety of leadership assessment and development tools including Emergenetics®, Hogan Assessment Systems®, and Emotional Intelligence EQi™ and TESI™. He is a Certified Professional Co-Active Coach through The Coaches Training Institute™. Gordon lives in Omaha, Nebraska. WENDY BENEDICT has over 20 years of experience leading human resources for large public companies. She has also served as a human capital consultant to companies of all sizes, in a variety of industries. The combination of corporate leadership and consulting has given Wendy an exceptionally strong expertise in all areas of human capital management. Employers and clients have recognized Wendy’s ability to deliver human resource programs and services that are aligned with business goals. With a focus on leadership effectiveness, organization performance, talent management, executive compensation and transition management, Wendy has held executive level HR roles for Alliance Data Systems, EBI Companies, and First Data Corporation. While at First Data, she was responsible for the transformation of human resource programs and practices to support the company’s long term strategy and priorities. 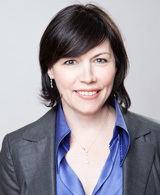 Wendy is experienced in a range of executive and team development techniques and tools, including a certification in the use of Emergenetics®. Wendy lives in Dallas, Texas. Glenn is a Certified Coach (ACC) and a Certified Mentor Coach (CMC) through the Mentor Coach program. He has attended The Coaches Training Institute as well as Crucial Conversations® training. Prior to his coaching career, Glenn was a partner with Beach Hepburn LLP in Toronto and Martin Hillyer Bryant in Burlington. Although his professional pursuits have shifted to coaching, he remains a member in good standing of the Law Society of Upper Canada. Glenn divides his time between Ancaster, Ontario and Cape Cod. PEGGY EDINGTON draws on over 25 years of experience as a senior HR executive to align leadership and team development initiatives with business goals. Peggy brings an authentic, pragmatic, and possibility-driven approach to her work which encompasses executive coaching, team development, organizational design, employee engagement and succession planning. Prior to her coaching career, she led large Human Resource teams for several fortune 500 companies, including Western Union, First Data, Qwest and Coors. Through her corporate experience, she gained insight into the challenges and opportunities inherent in corporate life, from both management and employee perspectives. This has proven invaluable in helping those she has coached transform their attitudes and approaches for greater career and personal rewards. Peggy earned a Master of Social Work and a Bachelor of Education from the University of Kansas. She is a licensed Clinical Social Worker (LCSW), Certified Emergenetics® Instructor, and certified as a Senior Professional in Human Resources (SPHR). Peggy lives in Denver, Colorado. BETTY HARRIS has broad and deep expertise across all areas of human resources which she gained during a 20-plus year corporate and consulting career. She has leveraged this skill and insight for organizations seeking peak performance from their employees.Betty’s ability to adapt the HR solution and leadership style to the need of the specific business is her contribution to any organization. Betty’s background includes leadership development and assessment, organizational development,change management, next generation leadership strategy and compensation. Prior to her coaching and consulting career, Betty held senior executive roles with First Data Corporation, Convergys and the CR Anthony companies. Betty is viewed by her past employers and clients as a visionary with a firm grasp on both strategic and tactical aspects of human capital growth. Betty has a B.S.B.A. in management, with a focus on Personnel Administration, from the University of Nebraska and a Masters Certification in Organizational Development from Fielding University. She also has formal training in Appreciative Inquiry, Leadership Competency Assessment, and Six Sigma practices. Betty lives in Omaha, Nebraska. KATHY KEMLER has over 20 years of experience helping global organizations align their human capital strategies with their business goals. Her areas of expertise include core competency development, leadership coaching, executive compensation design, talent management, succession planning and organization development. Among Kathy’s most notable accomplishments was the development and implementation of company-wide competencies which measurably expanded the collective capabilities of the organization in alignment with the business goals. She led this initiative for First Data Corporation, where she served as Vice President of Human Resources and later led a similar effort for the University of Denver. Kathy is experienced in the use of several highly respected assessment tools, including Emergenetics®, Hogan Assessment Systems® and Behavioral Leadership Assessment and Development. She also has formal training in Appreciative Inquiry. Kathy holds a Masters Degree in Industrial/Organizational Psychology from the University of Nebraska. Kathy lives in Omaha, Nebraska. Before transitioning into her full-time coaching practice, Kathryn gained recognition as a young professional leader across private, startup, and non-profit sectors. This experience gave her unique insight into the growing opportunities and challenges facing emerging leaders, teams, and organizations in today’s inter-generational workplace. Her strategic, action-oriented approach has enabled Kathryn to facilitate collaborations with many notable partners including NASA, the Royal Ontario Museum, and the Art Gallery of Ontario, as well as cultivate and manage a collaborative network of over 60 organizations serving tens of thousands of youth. An engaging public speaker and facilitator, Kathryn has spoken to and facilitated workshops for more than 20,000 people globally. She has helped hundreds of people, from emerging leaders to seasoned professionals, find their own voice through public speaking training. 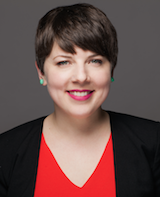 As an instructional designer and formally trained educator, Kathryn is proud to have developed learning experiences that have been implemented on a national and international scale for many organizations including Authentic Impact, Mozilla, Me to We, Free the Children, Girls Learning Code, the Boys and Girls Clubs of Canada, and The Girl Guides of Canada. Kathryn recently combined her emerging leader, coaching, and instructional design expertise to launch her online course, Guidance Counseling for Adults, engaging clients in 8 countries. Kathryn lives in Toronto, Ontario. For more than 20 years, GLENN PARRY has helped business leaders develop human capital strategies and organizational structures that help companies prosper. A seasoned HR executive, Glenn has considerable expertise managing organizational design and development, employee relations, compensation and benefits for corporations in the insurance and financial services industries. He has also served as an instructor in compensation, benefits, and human resources. Glenn has consistently earned recognition from employers and clients for his mastery of delivering direct, honest feedback in a way that builds trust, promotes sustainable positive change, and measurably improves individual and company performance. Glenn has an MA in Counseling, Guidance and Personnel Management from the University of South Dakota. He earned his BA degree at the University of Arizona, where he majored in Personnel Administration. His professional certifications include Professional in Human Resources (PHR), Certified Compensation Professional (CCP) and Certified Employee Benefit Specialist (CEBS). Glenn lives in Beloit, Wisconsin. MONIKA WALASEK has 14 years of experience in the financial services industry. She spent the early part of her career with a retail foreign exchange company; three years as a senior advisor specialist, administering accounts for a major global custodian. Most recently, Monika was on a High Net Worth Client servicing team at RBC Phillips Hager & North Investment Counsel, assisting the Investment Counsellors in providing daily portfolio maintenance, administration and client service. There she received a Performance Award for superior client service in 2011. Monika’s long career on Toronto’s Bay Street has taught her that while she is good with numbers, she is even better with people. B.A. Honours in Economics and Psychology, York University (2002). Monika lives in Mississauga, Ontario. We help organizations cut through the noise so they can do what they do best. We help leaders and individuals identify organizational and personal priorities, then gain insight and take action. 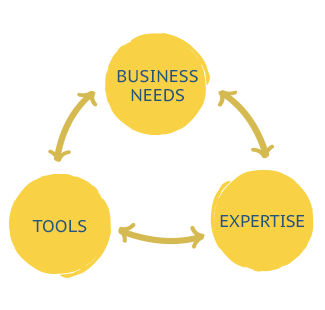 Expertise – We have extensive industry-specific knowledge and consulting experience. Evidence-based tools – Our work is rooted in Appreciative Inquiry and Positive Psychology and our solutions are empirically stress-tested for effectiveness. We look for the simplest and most authentic way to address priorities, and adapt our approach to fit with our clients’ culture, values, and leadership style to enhance leadership credibility.